In the early 1980s the US Navy was determined to uncover a secret gay subculture at the Great Lakes Naval Base just outside of Chicago. All of the men they were looking for seemed to be friends of Dorothy. If the NIS could find, Dorothy, they thought, they could blow this whole thing wide open. 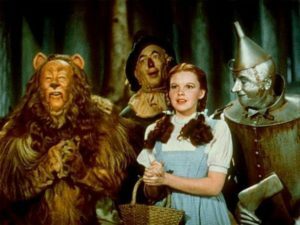 We’ve talked about The Wizard of Oz and monetary policy before. This is different.